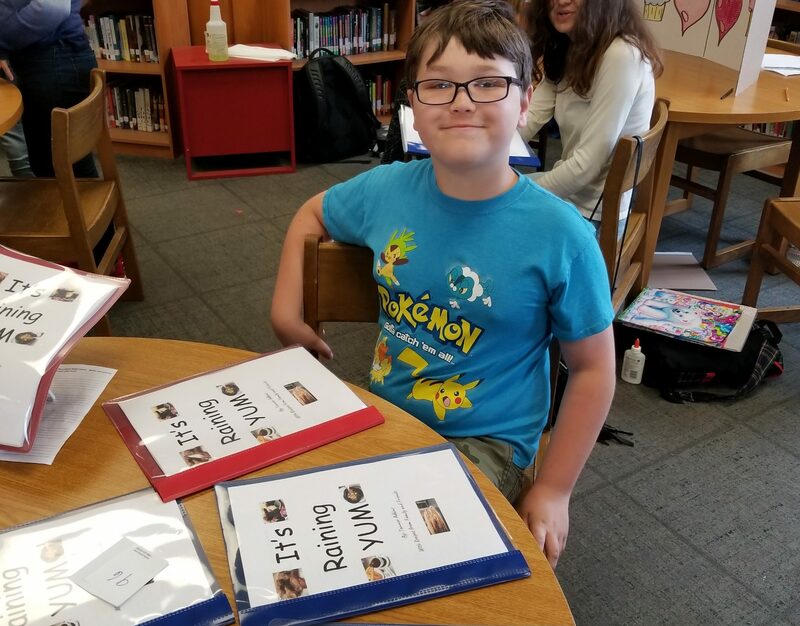 Even though the Morehead Writing Project’s LRNG grant work with Bath County Middle School ended this summer, students and teachers are still engaged in Genius Hour work using the well-stocked makerspace and tools to create passion projects. The LRNG Innovators Challenge grant, Making A Future for All: Connecting Passion To Profession, offered Bath County Middle School students the opportunity to design, develop, and create passion projects to be showcased at a community block party at the end of the school year. The middle school students engaged in exploration and experimentation with technology and resources funded by the grant ranging from a green screen to robotic kits to cake decorating tools. They have had the opportunity to participate in a Why Learn? Summit that allowed students to learn more about a variety of professions as well as the soft skills that interest employers. In addition, Morehead State education students provided coaching and approval for student projects. The LRNG Innovators Challenge is only awarded to 10 applicants following a highly competitive national grant application process. With support from the John D. and Catherine T. MacArthur Foundation, John Legend’s Show Me Campaign, and the National Writing Project (NWP), grantees were selected based on their proposal’s potential to actively help youth discover interests connecting the spheres of their lives, both in and out of school, and provide for potential future opportunities. The LRNG Innovators challenge is designed to create support systems that empower teachers to redesign learning. It exists alongside the LRNG platform, which connects youth interests to digital experiences and learning opportunities in their own cities. Powered by Collective Shift, the LRNG platform will include Innovators programs, adapted into digital playlists, that teachers, practitioners, and organizations can then adopt for use in their own communities. Contact the Morehead Writing Project if your school or district is interested in exploring the world of deeper learning, makerspaces, genius hour, and project-based learning. Our leaders are happy to come share this work and help your teachers design a program that serves your students. We can provide a 1-day workshop to kick off the work or a 3-day workshop to build a program.